The holiday seasonal shopping has officially begun with the end of Thanksgiving, an expert said sales are up in retail stores but some retailers might be out to rip off customers. York College Business and Economics Professor Olajide Oladipo said in an interview that products might be more expensive on Black Friday than it was three to six months prior. He explained that a $10 product might be increased to $14 on Black Friday and sellers would give a twenty percent discount leading to a decreased price of $11. He said to keep your eyes open for this trick. York College Sociology professor Jacob Apkarian also confirmed that the creation of sales and bargains by the retail industry has been demonstrated to create a feeling of desire for the customers. This is due to the fact that customers feel like they are getting better prices than they would at other time. According to a research by SurveyMonkey, two-thirds of Americans said they planned to shop over the long Thanksgiving weekend. This year more Americans went shopping for the Thanksgiving holiday weekend as shown in a survey by the National Retail Federation. A total of 174 million Americans hit the stores or shopped online during Black Friday and Cyber Monday compared to the 164 million people who shopped for the holidays in 2016. Black Friday sales create opportunities for long queues. Predictable opening time for various stores usually signify the end of a long wait for the beginning of the sales. Customers become agitated as opening time approaches in stores after waiting a long time in queues. It can lead to chaos at the store. Amber Colon who works as a cashier at Sephora in the World Trade Center mall said Black Friday was a terrible day even when it was over. She says the clean-up at the end of the day was particularly terrible. Cyber Monday has a certain triumph over Black Friday. Traditionally, a lot of people shop in stores on Black Friday, but some people also shop online. One of the reasons customers gives is the queue outside to get into the store and the long lines at the register to get out of the store. Luz Torres, 23, a resident of East New York, Brooklyn said the lines at Old Navy store she shopped at on Black Friday were very long and the store was disorganized. She said she could not find any shopping carts for her items and an employee had to find a bag for her. Now, majority of the people want a stress and hassle-free holiday shopping and so decide to do online shopping. Sociology Professor Apkarian said that online shopping is more about convenience and not to avoid chaos and human interaction. Stores make the most out of online shopping than in store shopping. A lot of stores require a certain amount of money spent online to qualify for free shipping. If you do not buy enough products, the customer may pay a lot of money for shipping. Economics Professor Oladipo said that retailers expand their means of service outside the store to increase income. This expansion is to reduce their fixed cost and variable cost. He explained that fixed cost is the rent or lease of the store and the upkeep of the store. The variable cost depends on with daily affairs and deals with destruction of products. Online and in-store retailers offer sales to customers days or even weeks before Thanksgiving according to a New York Times article. Sometimes, the best bargains of the seasons come later in the holiday seasons after Thanksgiving. 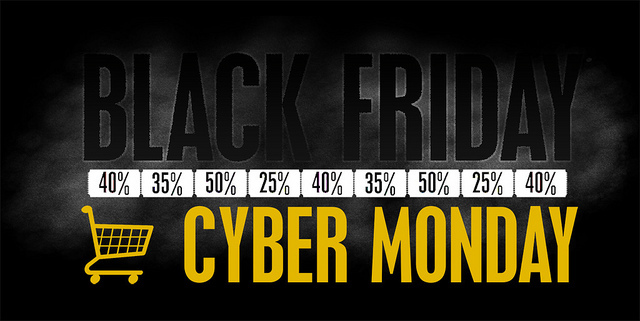 The term “Cyber Monday” was created by marketing companies such as the National Retail Federation to persuade people to shop online after the holiday. Black Friday became popular in the 1980s but Cyber Monday’s creation was in the 2000s.